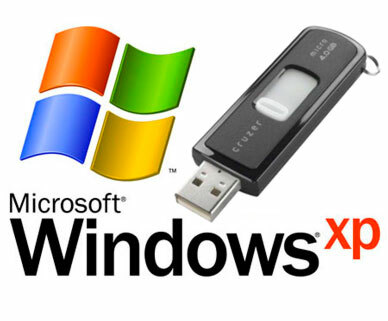 In this article form our series of tips n tricks We will show you how can you install XP from pen drive. This trick is best suitable for PC, other notebooks, laptops without CD drive. A working pen drive of at least 2 GB. We first have to make pen drive bootable and need to put all necessary files in it. To do this go on a running computer which have working CD – ROM. Now download this file solution.rar and extract it. Now go in the folder where you extracted the files from solution.rar and run HpUSBformat.exe. now you have got an USB disk with bootable DOS system on it. Put your Windows Xp installation disk into CD-ROM and copy all files from CD to USB drive. Now you have a bootable pen drive with xp. And follow these nine easy step to install xp. Step9:-this will launch xp installation process and you can install xp as you do with cd.